So you thought I was done talking about tomatoes for the year. But no. 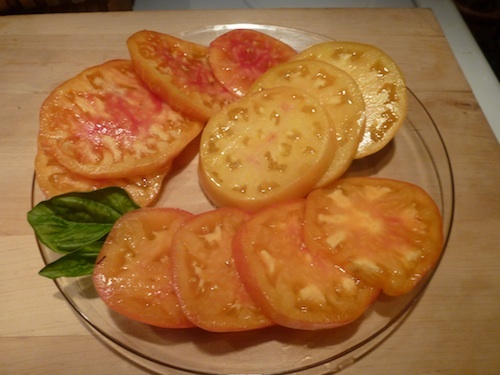 There are more heirloom tomato surprises from zone 6 in Southeast Missouri. 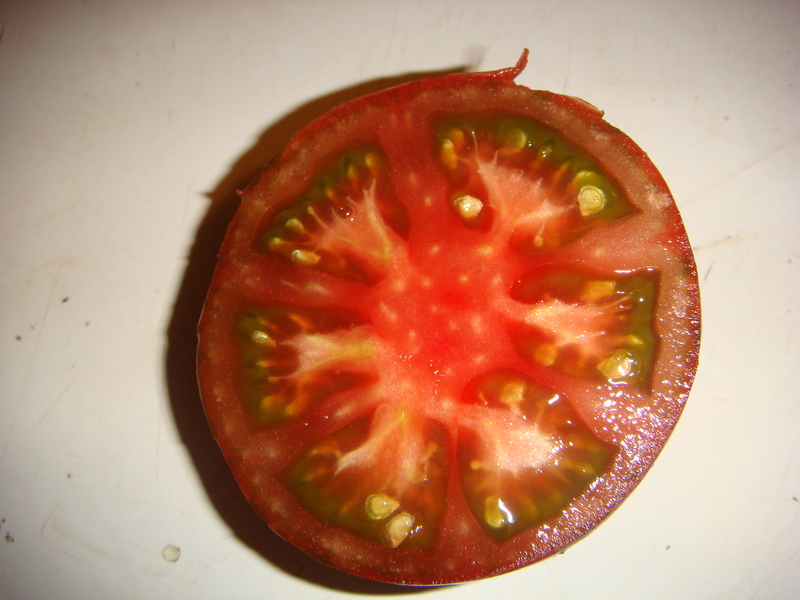 Called black tomatoes, Black Krim produces a medium size (10 to 12 ozs. 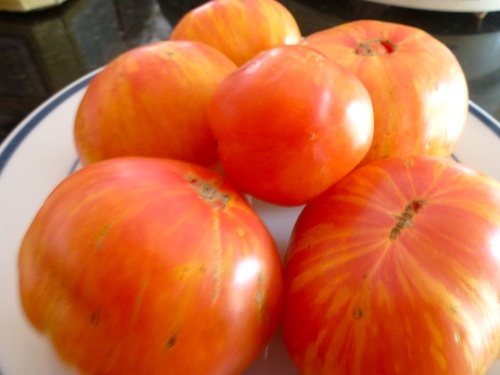 ), dark browish-red tomatoes. 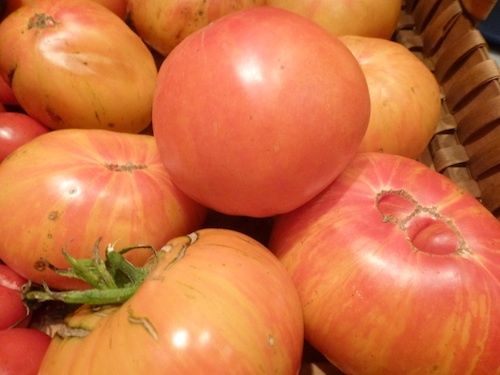 This heirloom is growing in popularity and being discovered by black tomato converts every year. It has just a hint of saltiness, and rich, comomplex flavor. 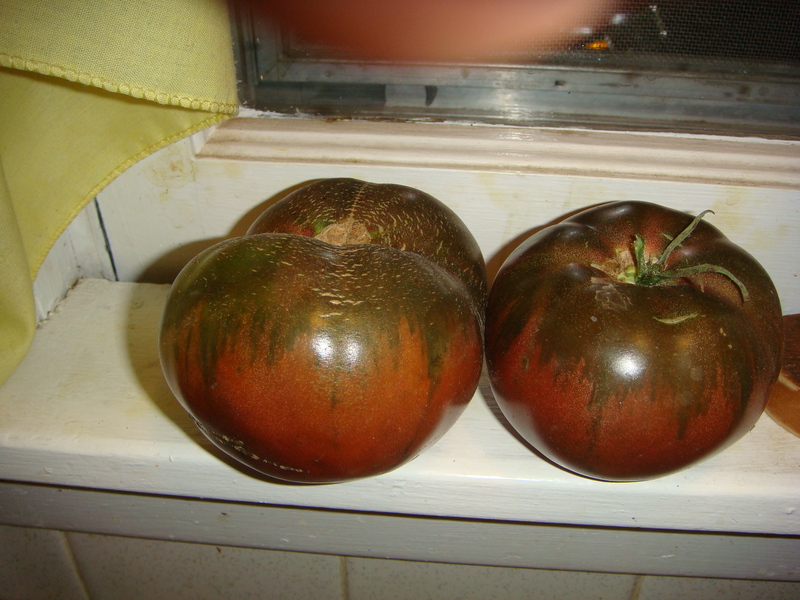 Black Krim gets darker in hot weather, which may shed some light to neighbor Bill’s very colorful cooler season Black Krim Tomatoes. while the top was still green. When October got here – lots of fruit, ripening evenly and the very best tasting tomato of the year. Should I save some seed from them? Hope you can see these pictures. Black Krims are a generous sandwich sized slices. Hort Couture® is only available through independent garden centers and retailers- you won’t see these plants in the mass markets. While the plants arrived healthy, I shared one plant with my neighbor, Bill, The head tomato grower in our neighborhood. These tomatoes have a very tasty smoky/rich flavor that was a regular and consistant indeterminate that only sucummed to late blight as did all the tomatoes in my garden. 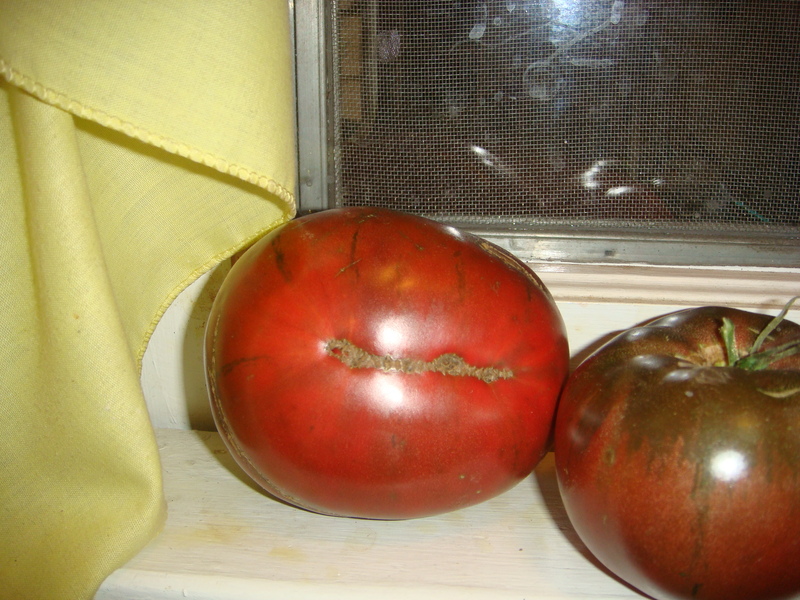 Grown in the heat of summer, my Black Krim had brownish shoulders and red purplish skin and flesh. The color was not as distinct this summer. I used the black heirloom tomatoes in fresh salsa the summer. The Black Krim just seems to add another level of flavor to salsa.